I have a soft spot for children's book, especially after having illustrated a couple myself (read: Super Labandera and Si Aiyah...), so I'm more than happy to promote Mommy Loves You Just The Same, launched May 19, 2016, from inspirational speaker and mommy-author Teresa Gumap-as Dumadag. MANILA, Philippines – May 25, 2016 – #1 Amazon bestselling Author and Inspirational Speaker Teresa Gumap-as Dumadag launched her first children’s book Mommy Loves You Just the Same last May 19, 2016. The author’s two older children inspired her to write the book while she was pregnant with her third child. It tells the heartwarming story of how an expectant mother assured her son of her unchanging love — during her pregnancy and after she gave birth to her new baby. It also shows how this mother’s assuring love inspired and enabled the little boy to become a loving and responsible big brother. “As a mom of three kids, I love how this book reassures the older kids that we love them just as much as before as well as helping to foster and nurture love for their new sibling. Children can be quite anxious about the arrival of a new baby and this book does well to put those insecurities to rest,” says Author of Project Mom, Celebrity and Blogger Amanda Griffin-Jacob. “A definite must-have for any family who is about to add a new member to the family,” adds Jacob. 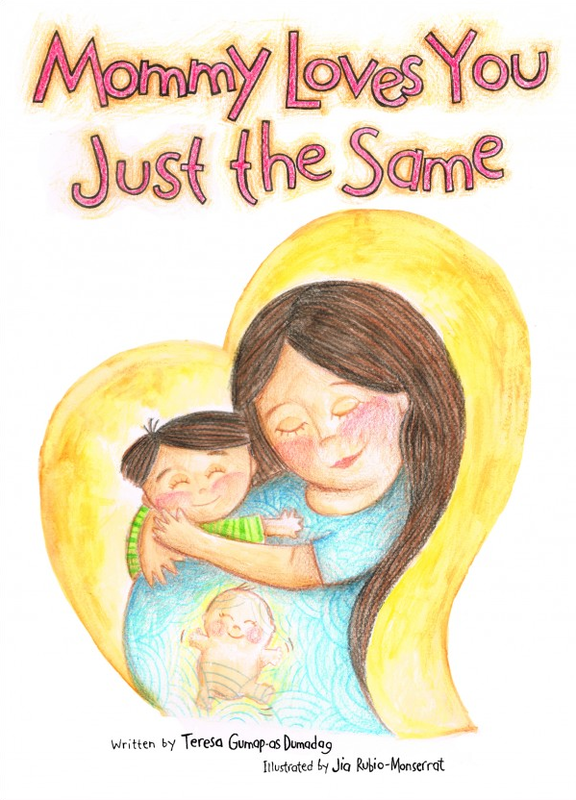 “Mommy Loves You Just the Same is a pleasure to read with its melodious text and clean illustrations. The story is sweet and relatable: it will be a great source of comfort for the new older brother or sister who might feel a bit threatened by the newest member of the family,” says Mariel Uyquiengco, a homeschooling mom of three, editor and speaker at the Learning Basket, a U.S. licensed Kindermusik educator and a Certified Positive Discipline Parent Educator. Mommy Loves You Just the Same can be purchased online for only Php 150.00 through Hands-OnParentwhileEarning.com’s online shop, via email at teresa@fulllifecube.com or through the following Facebook Pages: Full Life Cube, Hands-On Parent while Earning or BREASTFEEDING: A Journey Worth Taking. All book buyers of Mommy Loves You Just the Same are invited to join the ongoing giveaway. 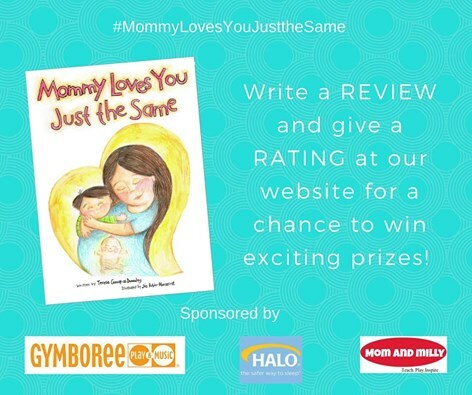 Just write a book review and giving a rating in the website for a chance to win one (1) year membership from Gymboree Philippines and P500 gift certificates from Halo Philippines and Mom and Milly Educational Toys respectively. Hi, I'm Yan. QA for a living. Blogging for fun. Designing with love. ISFJ. Manila, PH. Check out my graphic design portfolio here.